Ukraine already has the autonomous Moscow Patriarchate Church. Soon, the country might also have an autonomous Constantinople Patriarchate Church. The Moscow patriarch has threatened to sever ties with Constantinople if the Ukrainian Orthodox Church becomes autocephalous, or fully independent from another country’s patriarch. This probably won’t happen if the church only becomes autonomous, stopping one step short of autocephaly. 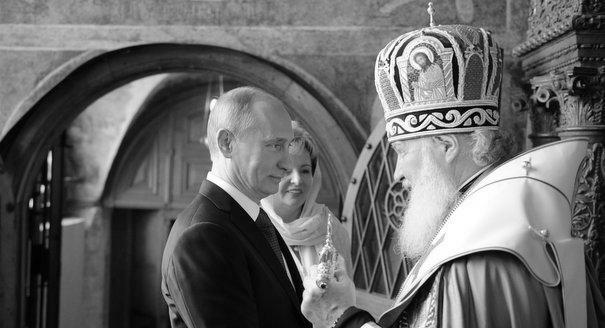 The history of relations between the Moscow and Kyiv churches in many ways resembles relations between the countries themselves. If Kyiv was, to quote the ancient Russian chronicles, “the mother of Russian cities,” then the Kyiv metropolitan was Russia’s most senior bishop. The Constantinople patriarch was superior to him, however, since the entire Russian church was part of the Constantinople Patriarchate until the end of the sixteenth century. When the Russian capital moved from Kyiv to the north, the Kyiv metropolitan gradually turned into the Moscow metropolitan. However, the territory of old Kyivan Rus was divided between the Moscow and Lithuanian states. The Kyiv metropolitan, whose seat was located in the Lithuanian principality, had every reason to consider himself the successor of the old Kyiv metropolitans. When the Moscow church became independent of Constantinople in 1589 and its metropolitan received the title of the patriarch, the territories of Lithuanian Rus didn’t become part of the new patriarchate, but remained with Constantinople. In the seventeenth century, secular Kyiv united with Moscow, and Constantinople effectively leased the Kyiv metropolitanate to Moscow: the Moscow patriarch received the right to install the Kyiv metropolitan, but Kyiv still had to mention the Ecumenical Patriarch of Constantinople in its prayers. Ukraine’s Orthodox Christians have now split into three groups that have complex relations with each other. The Ukrainian Orthodox Church is the largest Orthodox denomination in today’s Ukraine. It is often referred to as the Ukrainian Orthodox Church of the Moscow Patriarchate (UOC MP), although the last two words are not part of its official name. It’s completely independent in its internal, personnel, and financial decisions, but is nevertheless part of the Russian Orthodox Church (ROC) with broad autonomy rights. It encompasses 12,000 parishes: one-third of the total number of ROC parishes. The so-called Kyivan Patriarchate (KP) is the second-largest Ukrainian church. It was established in 1992 by the Soviet-era Kyiv metropolitan Filaret. In 1990 he failed to become the Moscow patriarch and later was officially removed from presiding over the Kyiv metropolitanate by the Moscow Patriarchate for expressing the idea that, as an independent state, Ukraine should have an independent church. The twenty-six years Filaret had spent as the Kyiv metropolitan allowed him to bring many clergymen and parishioners over to his side when he declared himself the Kyiv patriarch in 1992. The censures, anathemas, and even eventual defrocking that Moscow subsequently imposed on Filaret did nothing to deter him. The rest of the Orthodox churches, however, never recognized the Kyivan Patriarchate, and continued to deal with the UOC MP, which has remained part of the ROC. Today, Ukraine has around 5,000 Kyivan Patriarchate parishes. The third Orthodox community in Ukraine is the Ukrainian Autocephalous Orthodox Church (UAOC), which emerged after the 1917 February Revolution, was outlawed in the Soviet Union, and became legal again in the early 1990s. It now boasts up to 1,000 parishes, primarily in western Ukraine. So, the unrecognized Ukrainian churches—KP and UAOC—number 6,000 parishes today, while UOC MP controls twice as many: around 12,000. The Orthodox Church has no equivalent of the Vatican that local churches can submit to as a guarantee of the true belief, but the minority believers have started seeking help from the Ecumenical Patriarch Bartholomew I of Constantinople, who is considered to be the first among patriarchs in the Orthodox Christian world, although he doesn’t always have the means to influence other local churches, whose borders usually correspond to national borders. The schismatics’ complaints remained unanswered for many years. No ecumenical discussions took place at the 2016 Pan-Orthodox Council in Crete headed by Patriarch Bartholomew, since Russia’s Patriarch Kirill and the head of UOC MP Metropolitan Onufriy didn’t show up. So Constantinople decided to act on its own. 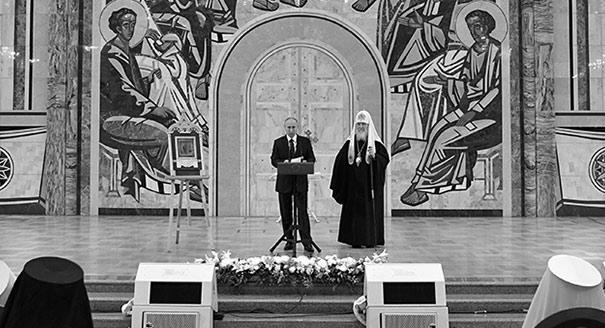 First, it recalled that the Kyiv metropolitanate was merely leased to Moscow with a requirement to mention the ecumenical patriarch at prayer services. Of course, this condition was quickly forgotten, but even in the twentieth century, Constantinople patriarchs frequently alluded to the fact the Kyiv metropolitanate is not part of the Moscow Patriarchate, according to church canons. Such ideas had no practical significance as long as Ukraine was part of the Russian Empire or Soviet Union, but they could yield very real results in the context of restoring the church’s communication with one-third of Ukrainian Orthodox believers. If Ukraine—even theoretically—is a charge of the Constantinople Patriarch, he has the right to participate in the lives of fellow believers who are asking him to intervene. Constantinople’s next practical step was to dispatch two of its Ukrainian-born bishops to their homeland (from officiating in the Ukrainian community of the Constantinople patriarchate in the United States and Canada). They will act as exarchs: the patriarch’s personal envoys. Most likely, they will negotiate with KP and UAOC, which don’t yet engage in communication with other Orthodox churches. Many in Ukraine are expecting autocephaly, which would mean universally recognized complete independence of the church from another country’s patriarch. That’s what Ukrainian President Petro Poroshenko, who has invested a lot of effort in negotiating with Istanbul, is hoping for, too. 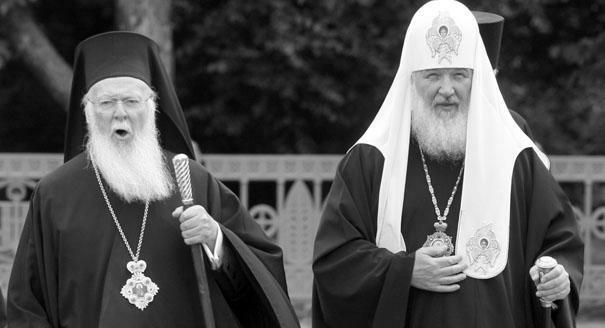 Moscow fears such a turn of events and has warned that it won’t recognize the UOC’s autocephaly and will even break off “eucharistic communication” with the Constantinople Patriarchate if it is proclaimed. This position is quite understandable: two-thirds of Ukrainian believers belong to the UOC MP, and they never clamor for independence. Interestingly enough, the subject of autocephaly wasn’t broached at the 2016 Crete Council, but the issue of granting church autonomy generated detailed discussion. “Each autocephalous church may only grant autonomous status to churches located within its canonic geographic district,” church documents state, and, as mentioned earlier, Ukraine is still part of the Constantinople canonic district. “If two autocephalous churches grant autonomous status to the same geographical church district, and these autonomies engender disagreements, the involved parties shall separately or jointly appeal to the ecumenical patriarch, so that he can find a canonic resolution in accordance with the existing all-Orthodox procedure,” the church documents state. What else could possibly have been under discussion here if not Ukraine? The country already has the autonomous Moscow Patriarchate Church. Soon, it might also have an autonomous Constantinople Patriarchate Church, putting it in the same situation Estonia has been in since the mid-1990s. The Moscow patriarch has threatened to sever ties with Constantinople if the Ukrainian Orthodox Church becomes autocephalous, but would probably refrain from doing so if the church only became autonomous. As for autocephaly for the UOC, no one knows yet what “a canonic resolution in accordance with the existing pan-Orthodox procedure” might look like. Perhaps that will be the subject of the next Pan-Orthodox Council that will be convened after Ukraine ends up with two autonomous churches that are part of two absolutely lawful, canonical patriarchates.